All the young bulls at Casa del Toro aspire to grow up strong and brave so that they can go to the glorious arena where bulls fight matadors. Well, almost all of the young bulls aspire to that. Ferdinand doesn’t want to fight; he is more invested in watering a beautiful flower that has captured his heart. 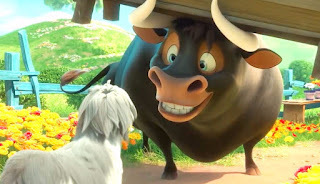 One day, Ferdinand’s father is selected to go to the arena; he proudly goes off, promising Ferdinand that he will return – but he doesn’t return. 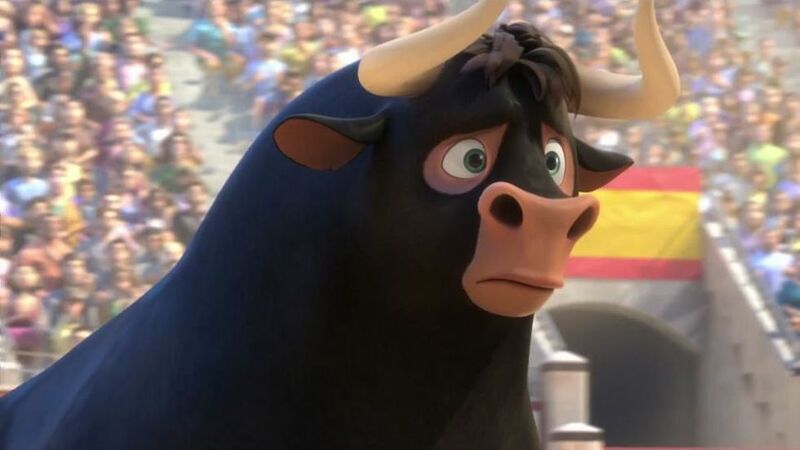 Ferdinand is grief-stricken to lose his father, but he finds no sympathy from the other bulls; some are jealous that they were not selected for the arena, and one says that Ferdinand’s dad died because he was “soft.” In his sorrow and fear, Ferdinand runs away. Ferdinand finds himself at the house of a florist and his daughter. He grows up there, well-loved, and very much part of the family. One day, however, Ferdinand leaves the home without permission because he wants to attend a flower festival. His trip is a disaster, and Ferdinand is misunderstood to be a wild animal. He is captured and taken away, even though his new family protests. One of his animal-control captors sees an opportunity to make a profit, and delivers Ferdinand back to the Casa del Toro, where Ferdinand is cruelly welcomed by his former penmates. 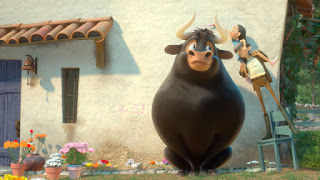 Because Ferdinand is large, he is presumed to be a likely candidate for an upcoming major bullfight – but Ferdinand still does not want to fight. He learns, however, that if he does not fight, he will be sent to a meat factory. He decides to try to escape again, but in his attempt to escape, he learns that any bull who fights in the arena is killed; whether it’s the meat factory or the arena, every bull is destined to be killed. Ferdinand forfeits his chance of escape in an attempt to save all of the other bulls, including the ones who treated him poorly. He saves them, but he himself is recaptured, and for a third time finds himself as the property of Casa del Toro. Now there is no escape, and Ferdinand is taken to the arena, where he must fight the greatest matador, in his final bout. A full arena watches as Ferdinand constantly eludes the matador, and when Ferdinand’s family sees him on television, they rush to the arena. While they are en route, the matador manages to slash Ferdinand. It’s a surface wound, but it enrages Ferdinand. He attacks the matador, and uses his horns to lift the matador off the ground. Ferdinand locks eyes with him, and then remembers his compassionate nature, and lowers the matador to the ground. The matador backs away, but then returns, intend on killing Ferdinand. Ferdinand stares at him, and then sits down in protest, not defending himself, but not looking away from the matador. The audience erupts and demands that Ferdinand be allowed to live, and ultimately, the matador nods and walks away. At this point, Ferdinand’s florist family arrives, and the young girl runs out and embraces him. 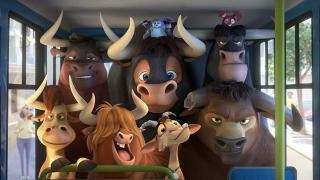 Ultimately, Ferdinand is able to return home, and brings new friends with him, who are now also free to live in safety. Ferdinand loses his father in a traumatic way, and his grief is palpable. Ferdinand’s experience is a fear that some kids have after leaving an abusive home: Ferdinand escapes, is basically adopted by a loving family, but then is recaptured and taken back to the abusive environment, where the abuse is even worse. Ferdinand’s nonviolent character saves himself and others, but his experience certainly seems likely to trigger many viewers who have been through foster care. 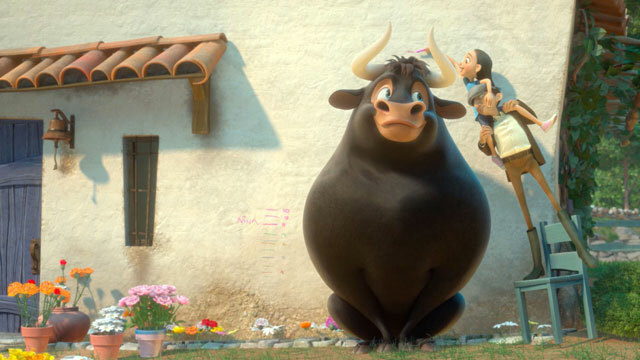 Even though there’s a lot of trigger potential in this one, it’s a good movie, and Ferdinand himself is a gracious hero who is a breath of fresh air. He is forgiving, brave, courageous; he is not vengeful, and he refuses to be violent. 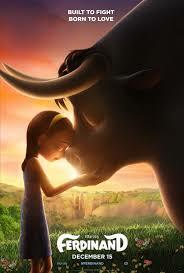 For kids who won’t be triggered by the film, Ferdinand is one of the best cinematic role models that a kid could pick. For much of his life, Ferdinand lives in safety, surrounded by a very loving family in a beautiful, peaceful environment. When he first arrives, timid and fearful, his new sister, a young human girl, tells him “This is your home now.” Ferdinand also finds a new brother in the family’s dog. Ferdinand’s dad is killed in a bullfight. We don’t see the fight, but we do see Ferdinand’s grief when his father doesn’t come home; Ferdinand is not treated with sympathy by the other bulls. Ferdinand escapes, but is recaptured and returned to his abusive environment. His recapture is at least in part due to him disobeying his adoptive family and acting out in public, which could also be troubling for some kids, who might worry about being sent away or “sent back” if they misbehave. As Ferdinand is being taken away from his family, he cries out, desperate to get back home. Ferdinand tries to return home, but an electric fence is in place to prevent him from escaping. For a few minutes, it seems that two bulls have been sent away to die at the meatpacking plant. Ferdinand is a positive film with a laudable hero, but for viewers who have experienced abuse, neglect, parental loss, or removal from an abusive environment, it also seems very trigger-heavy. For a general audience, this film should work for most kids, but for an audience touched by foster care or adoption, parents should be cautious. Why did Ferdinand try to save the other bulls? How can Ferdinand feel safe with the florist’s family, now that he’s back there again? What do you like best about Ferdinand?